Home / Caravanning Questions / What type of gas should you use in your caravan and why? What type of gas should you use in your caravan and why? A question that is often overlooked when buying your first caravan “what is the best gas to use in a caravan?”. Let’s get down to discussing your options and deciding which one to use. That’s right! Most caravan gas powered appliances are designed to operate using either propane or butane, but what’s the difference? So which gas should you use? 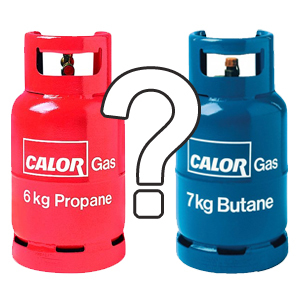 Weighing up all of the facts about propane and butane gas from above and looking at it from a caravanner’s stand point it has to be propane. It has a few solid advantages that will make your caravanning experience better all around. If you use propane over butane you will spend less, be able to pack more, not strain your back as much lifting it into the locker and use it all year round. One more thing to add is that you need to make sure you have the correct regulator or hose (depending on the age of your caravan) for the gas you are using. Caravans built before 2005 will generally be fitted with a removable regulator, this may easily be changed for either a propane or butane regulator. Caravans built after 2005 will be fitted with a bulk head regulator for which you must change the hose to suit the type of gas you are using. I hope this has helped to answer your question about which gas to use in your caravan. Drop me a line below it helped you out and ask any further questions you might have. 30 Days of Caravans Challenge: How can I help you? Interesting experience you have had with your gas. It seems that it may differ from caravan to caravan. Propane would certainly be your best option. Can i really use either gas in my caravan? My caravan was sold to me with a butane cylinder and I want to swap for propane now the weather has turned cold. It has the usual hob and truma heater, plus a cramer oven. Do all the appliances work with either gas? I’m concerned as I’m aware you have to change the jets in a household gas cooker. Hi, we use propane, 19kg bottles. With the cold weather we can go through one in a week. This then gives a problem of getting refills regularly. I’ve been advised to fit an upgrade kit which allows four 19kg bottles to be fitted. I am though worried wether the regulator will take four cylinders – it’s a 2014 caravan (static). Also I’ve been told I don’t need to employ a gas safe plumber to fit the kit as its outside of the regulator. Which gas is best for use in France? Are both types available? Sorry but I don’t have much experience with cost of mains gas on static caravans. I would suggest getting quotes and comparing. We have just bought our first caravan and it didn’t come with a gas bottle. Our problem is we don’t know what connections we need as in connectors pipes ect…..
Congrats on your first caravan purchase. The connections required will really depend upon how old your caravan is. In around 2005 the industry switched to using a fixed bulk head type regulator; if you have one of these you will just need to get a “pigtail” hose suitable for which ever type of gas you decide to use. If its older than 2005 it likely won’t have he bulkhead and so you will need a regulator, gas hose and jubilee clips, these again are propane or butane specific. I didn’t know that propane was better to use for your caravan than butane. They basically seemed like the same thing to me. This minor detail sounds like it’ll make a noticeable difference. I have always used propane in tents, trailer tents and caravans. I use it because of its low temperature performance compared to butane and it is lighter than butane when in liquid form. It has a hotter flame so is more efficient than butane and propane does not have the sickly smell like butane when it is lit. Really useful information. I didn’t know what gadgets to use in my first caravan. Thanks for posting this. I just bought my first caravan built in 2001. It has a butane regulator. I’m going away tomorrow for my first night away to try things out. Should I change my fittings to propane? Bearing in mind I’m in my early 60s, female and will mostly be on my own so don’t want anything too heavy. Congrats on your first caravan purchase! As you can see from the above points propane is preferable over butane. But please bear in mind the cost of changing your regulator and potentially gas hose too. 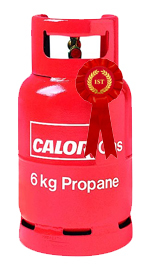 The weight difference is roughly 1kg in propane’s favour. I currently have a propane ca lot gas fitted with a serfs type regulator. But I have a large propane cylinder from Bt with a clip,on fitting from Homebase. -any idea what fittings I would need. Is there a quick simple adapter I can screw on to my propane regulator in my Swift Conquror so I can fit a French propane bottle if my UK bottle runs out ?